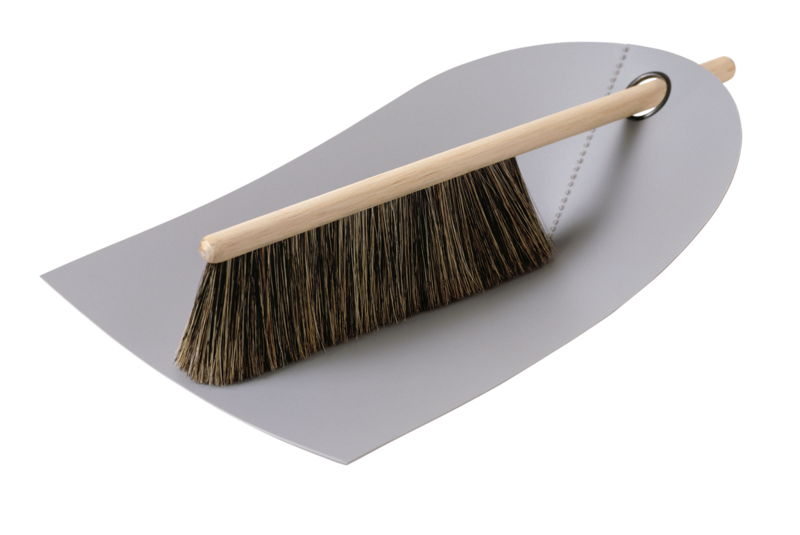 The award-winning Dustpan & Broom designed by Ole Jensen for Normann Copenhagen offers an ingenious take on a classic product. 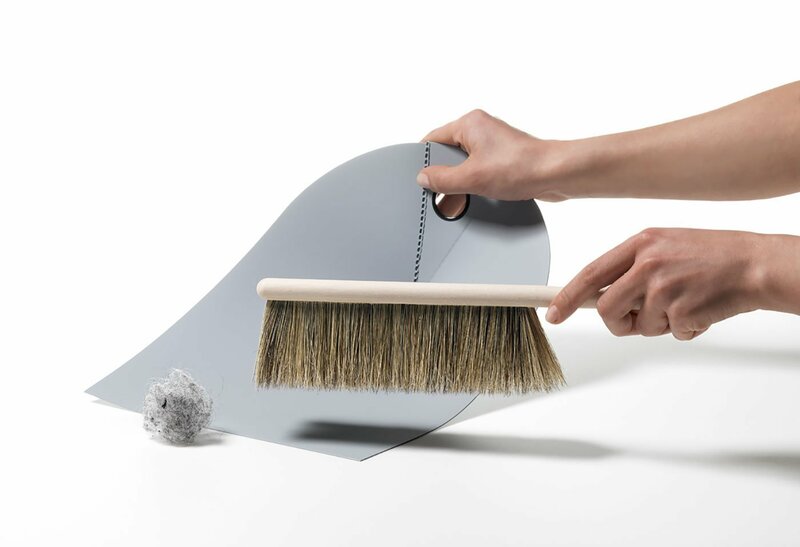 Inspired by a folded newspaper, the dustpan reduces the shape to its simplified version. The piece of flat and flexible plastic makes sweeping crumbs and dust easy, but it also fits comfortably in the hand. A hole allows for a better grip while also ensuring that the brush rests conveniently inside when not in use. 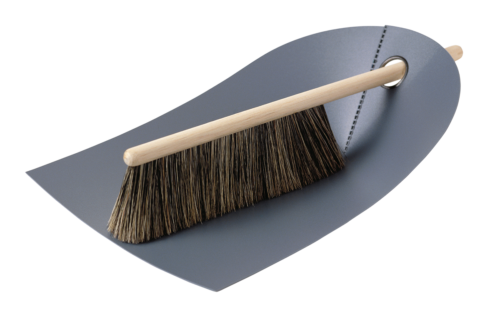 The broom is made from solid beech and natural bristles, its traditional craftsmanship complementing the modern design of the dustpan perfectly. Whether hung on a wall or left on the floor, this designer Dustpan & Broom will look beautiful anywhere. It’s flexible and thin material makes it ideal for collecting all kinds of dust. Can hang on the wall. Inspired by a folded newspaper. Gessato is an authorized retailer of Normann Copenhagen products. We purchase all of our Normann Copenhagen products directly from the company in order to bring you genuine items that represent the best in contemporary design. Every Normann Copenhagen product in the Gessato shop is authentic, comes with official brand packaging, manufacturer’s warranty (where applicable), and is sold with Normann Copenhagen's authorization.